Tip:Use a press, with theDT-22912-B/KM-307-Brear pinion and axle bearing removerflat side up, in order to install the bearingassembly. 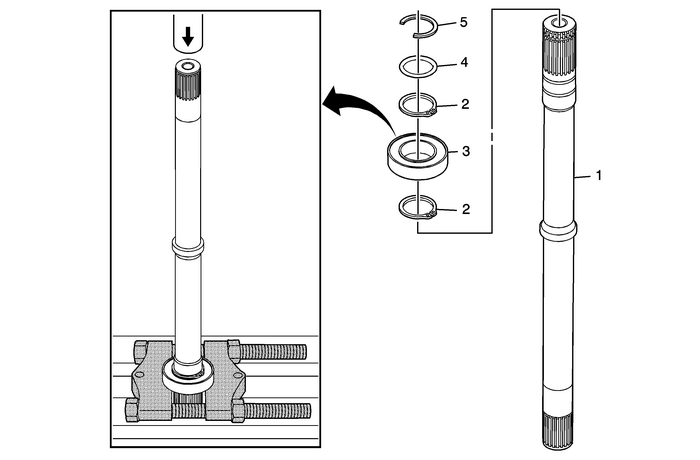 Tip:Use a press with theJ-5590pinion bearing race installer –rearto install the housing and bearings to the outputshaft. 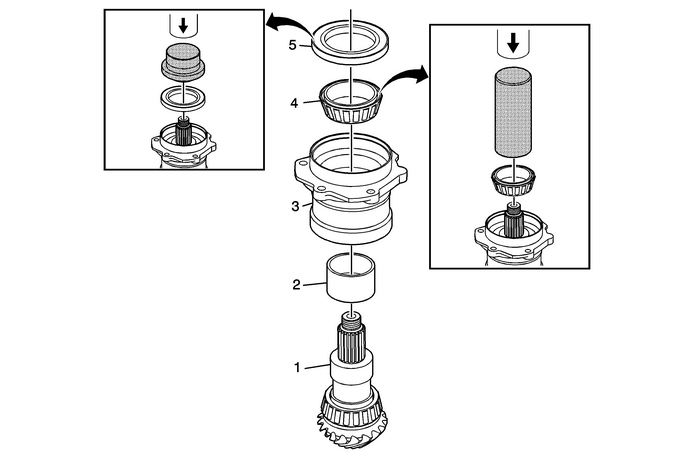 Tip:Use a press with theDT-48075output shaft seal installerto install the seal. 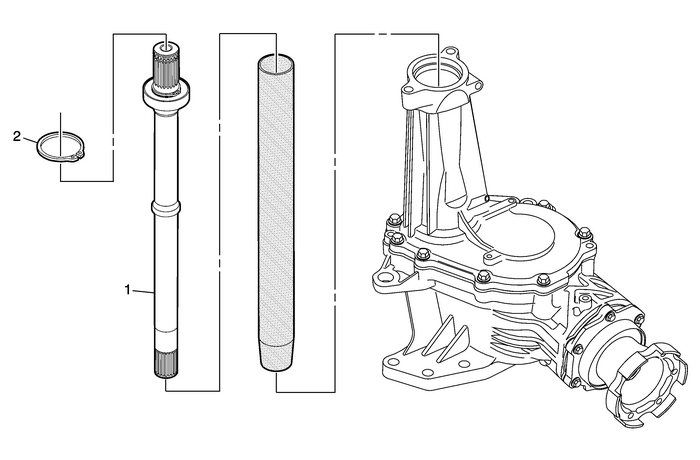 Tip:Use a press with theDT-48077output shaft slinger installerin order to install the slinger. 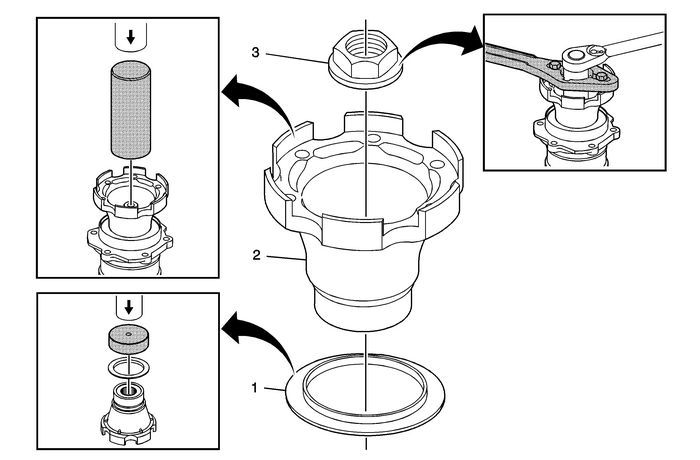 Tip:Use a press with theJ-5590pinion bearing race installer –rearto install the flange. Tip:Install the input and output shafts as a set with the splinesengaged. Caution:Do not use a drive hammer when the splines are not engaged.Use of a drive hammer when the splines are not engaged will damagethe output shaft teeth. 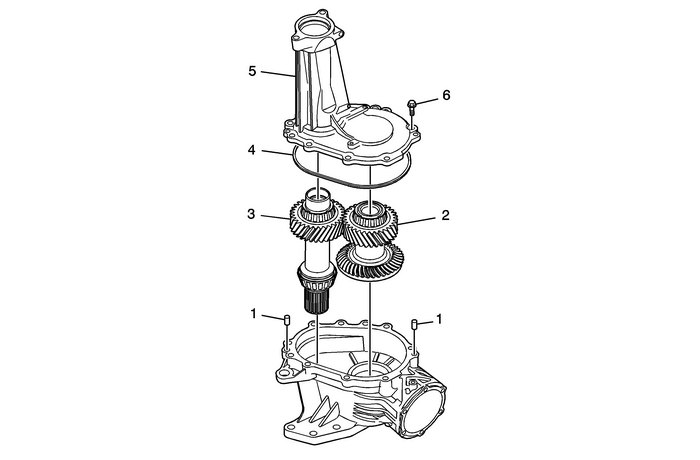 Use of a heat gun allows easy alignment of the bolt holes tothe housing during assembly.Install the rear output shaft housing with the flat areaaligned to the tab on the main housing.Rotate the pinion gear during assembly to engage the gearteeth. Caution:DT-48094 must be used over the intermediate shaftprior to installation in order to protect the intermediate shaftseal from damage. Tip:Replace the vent if damaged or blocked. 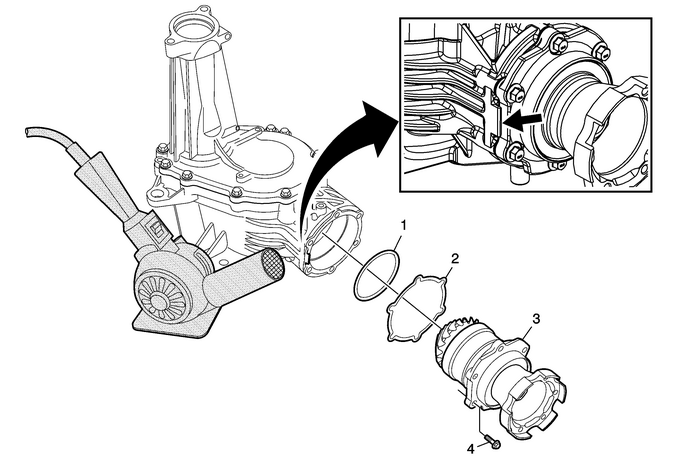 Tip:Tighten the bracket bolts to light assembly torque. 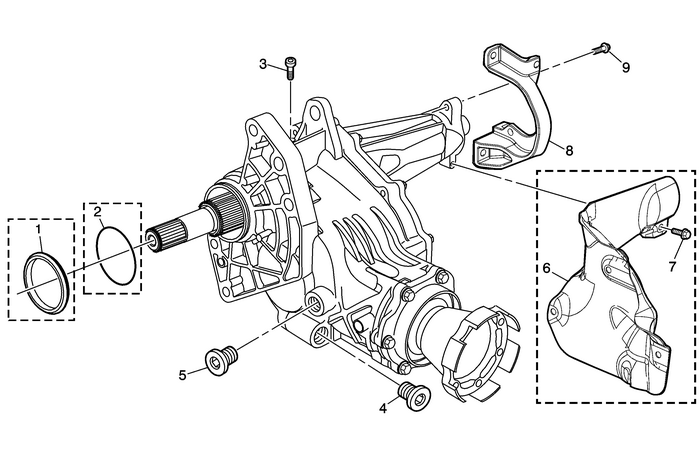 Tightento specification after the transfer case is mounted in the vehicle.Refer toFastener Tightening Specifications.